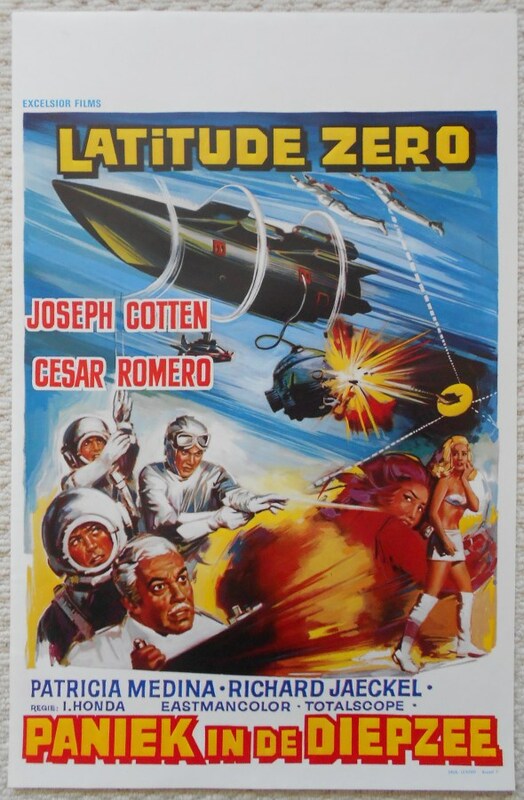 Original 1969 Belgium Movie Poster from the film ' Latitude Zero ' featuring Joseph Cotten and Cesar Romero. This poster is in Fine condition and measures 21.25" x 14". An amazing poster with a great image!